Dubai, UAE, February 07, 2018: The German high fashion brand AIGNER unveils its exclusive Dubai World Cup edition timepiece. The timepiece has a majestic galloping horse pattern on the dial, which is a representation of the brand’s classic design that traces its tryst with the equestrian era. Not straying away from the horseshoe monogram that has been symbolic of the brand, the special timepiece is crafted keeping horse enthusiasts in mind. With the AIGNER calligraphic inscription in Arabic and the sturdy leather straps, the German Atelier has captured the spirit of the Dubai World Cup horseraces this season. 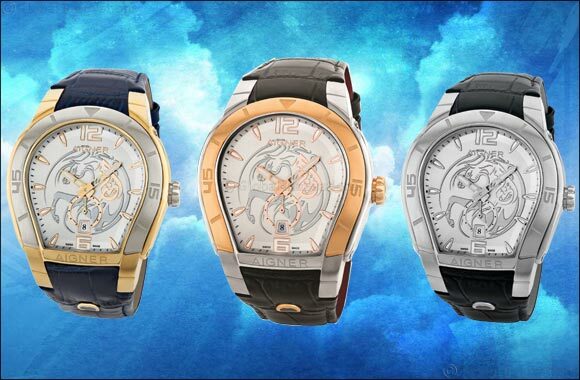 The special Dubai World Cup edition Aigner timepieces are priced at 4300 AED and available in three color variations across all leading luxury outlets in Dubai.